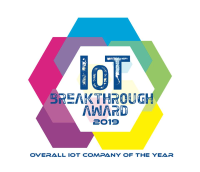 Rockwell Automation recently earned the IoT Breakthrough Award, which recognizes the hard work and success of Internet of Things (IoT) companies, technologies, and products. The specific award designation, as the Overall IoT Company of the Year, was earned for our innovation and commitment to connecting people, processes and technologies, and bringing the Connected Enterprise to life for customers, to help expand what is possible across their organizations. The Overall IoT Company of the Year award considers nominees from among all IoT categories, from smart home tech all the way through industrial solution providers. Rockwell Automation was chosen based on a combination of innovative and proven Industrial IoT solutions, partnerships, and investments, such as the recently announced partnership with PTC. In its second year, the IoT Breakthrough Awards program provides recognition to innovators, leaders, and visionaries from around the globe in a range of IoT categories. These categories include Connected Home and Home Automation, Industrial and Enterprise IoT, Smart City technology, Connected Car, and many more. The 2018 program attracted more than 3,500 nominations from companies all over the world. Rockwell Automation, Inc. and PTC Inc. today announced that they have entered into a definitive agreement for a strategic partnership that is expected to accelerate growth for both companies and enable them to be the partner of choice for customers around the world who want to transform their physical operations with digital technology. 1734 POINT I/O™ is ideal for applications requiring flexibility and low cost of ownership. Granularity of one to eight points lets you buy only the I/O you need. The compact design makes installation easier in limited panel space. 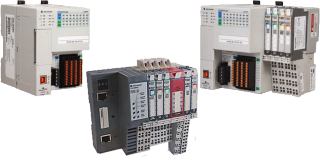 The family includes POINT Guard I/O™ safety-rated I/O modules that can be used side-by-side in a standard POINT I/O system. Network connectivity includes ControlNet™, DeviceNet™, EtherNet/IP™, and other open networks. Some modules feature DeviceLogix™ Smart Component Technology, integrating low-cost logic solving capability in your I/O for faster sense-to-actuation times. 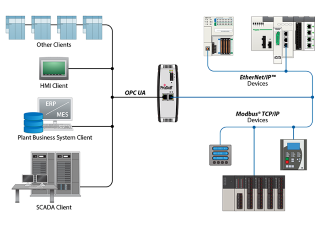 Data is available in EtherNet/IP™ and Modbus® TCP/IP equipment around the world – accumulated so end users can analyze and act upon the information to reduce operations costs and improve production. We sent out this message to all existing I.C.Systems S.A. customers. ©2019 I.C.Systems S.A. All rights reserved.